Within this figure, the research suggests that even if an extra 5000 new apprentices qualified by 2023 (representing a 33% increase), this would still leave a shortfall of 7,500-10,000 electricians needing to be sourced from elsewhere. These workforce predictions are based on meeting demands solely due to sector expansion and do not cover the additional staff turnover occurring from leavers and retirement. 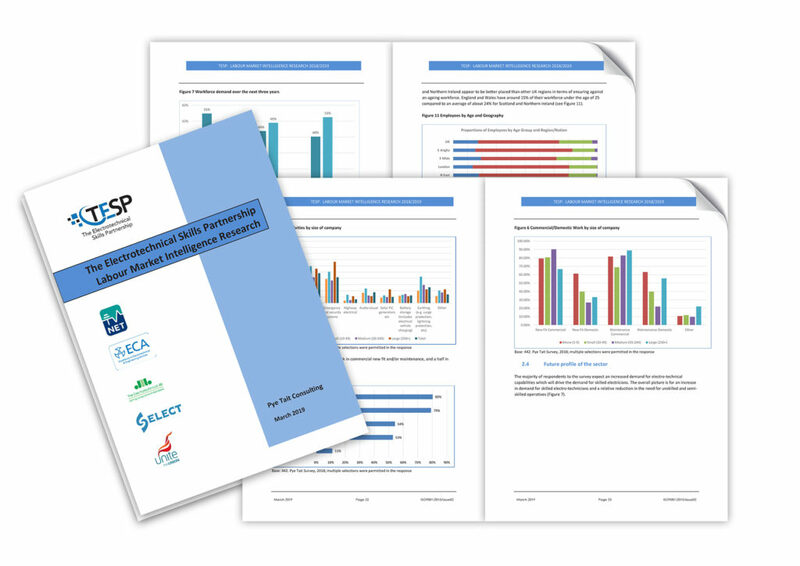 Ruth Devine, Chair of TESP and Managing Director of SJD Electrical, said: “The TESP survey – the first of its kind in over a decade – offers not only a useful snapshot of where the electrotechnical industry and its skills-base are now, but also a vital insight into the scale of the challenges we face in the immediate future. The Electrotechnical Skills Partnership (TESP) is a not-for-profit industry partnership formed by the ECA, Joint Industry Board (JIB), National Electrotechnical Training (NET), SELECT and Unite the Union to support electrotechnical employers to develop and drive the industry’s skills agenda.